Pioneers in the industry, we offer crane rental service for refineries and crane rental service for power plants from India. 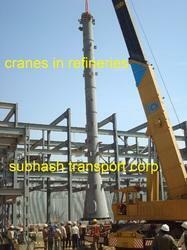 We are the leading Crane Rental Service provider for refineries. 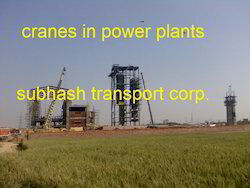 The cranes are provided in good working condition and are properly maintained. The traned staff is able to carry out all the required activities. We provide our expert service for Power plants. The cranes provided are properly maintained and well trained staff adds to the value of the service. Looking for Crane Rental Service ?